Celador is adding Sam FM Bristol back to the local DAB multiplex in a bid to increase listenership to the service. As part of its licence application to Ofcom to retain the licence, Celador says it will return the service to DAB in early August with a desire to increase reach. Sam FM was removed from Bristol DAB in 2015, leading to its licence being re-advertised instead of automatically renewed. Three years eariler in 2012, Celador also removed sister brand The Breeze from DAB saying the DAB platform just doesn’t work for them. Celador is facing competition from Nation Broadcasting and Oxis Media, who have teamed up to propose the return of JACK fm to the city (Application PDF). Sam FM, when it was previously known as JACK fm, had a local awareness level of 63.1%. It has since dropped to 37.6% as Sam FM. 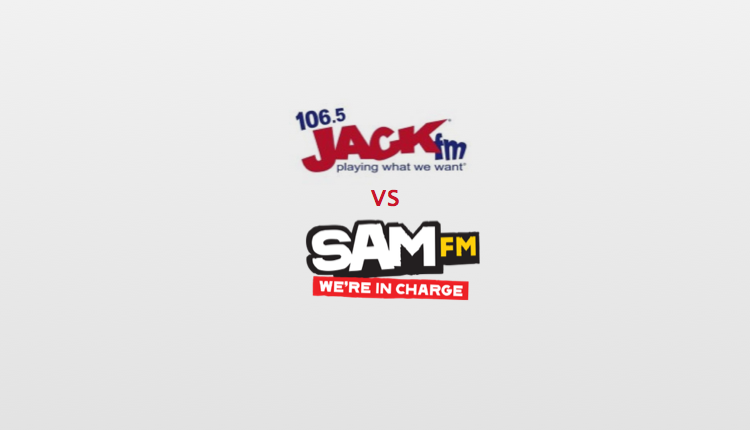 Sam FM also achieves just half the audience share that Jack FM had. In its licence application, the company says it will increase listenership in three ways; an increase in its FM TSA, the addition of DAB and an on-going marketing campaign. Sam FM says it will continue to provide local breakfast and drive shows from Bristol, whilst JACK fm says all of its programming will come from its Bristol content centre. Celador recently lost out on a licence re-application in Ipswich mainly because it did not include any plans to broadcast on DAB. Don’t think much of either of them.Celador putting Sam back on DAB now it has competition when it could have kept the licence anyway by being on it at the time of re advertisement (like they are now putting Town on DAB in Ipswich rather too late in the day.As for Jack all the programming may come from the Bristol content centre but as we know from other stations it doesn’t actually have to be recorded there-in any case there will likely only be three hours on weekdays with a presenter anyway as in Oxford,all the rest will be automated,more presenter hours on SAM (8 I believe) but with a smaller playlist from what i’ve read,what a choice!. A desperate attempt to sway Ofcom for them to keep their licence.